Digital magazine Sight Unseen has paired 13 celebrities from film, fashion, and art with 13 interior and furniture designers to create one-of-a-kind objects for this year’s New York Design Week (NYCxDESIGN). Each of the items are available for sale, with the proceeds going to benefit a charity of the pair’s choosing. The collaboration is part of Sight Unseen’s fifth annual OFFSITE fair, which will be spread out across 13 separate venues across downtown Manhattan between May 17 and May 20. The collection, dubbed Field Studies, will anchor the fair’s central hub at 201 Mulberry Street. “The idea was to connect creatives across disciplinary boundaries so they could search for commonalities in their practices and discover what unexpected ideas might result,” said Sight Unseen in a statement. 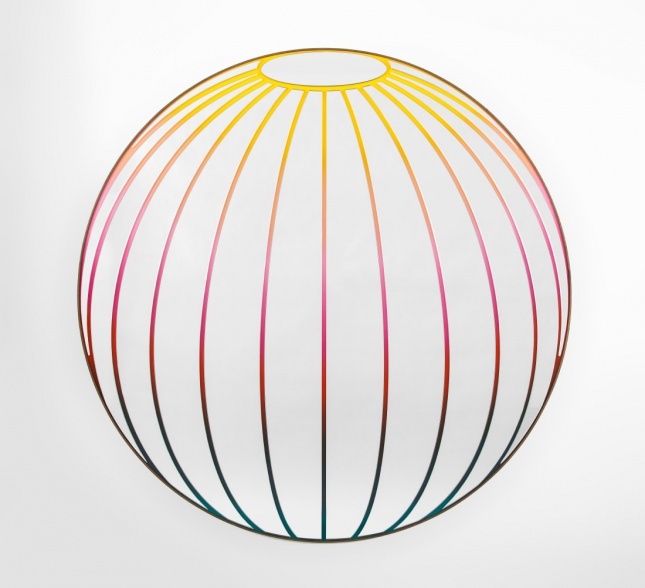 Contemporary design studio Bower and actor Seth Rogan have created a massive mirror inspired by “shared influences — midcentury furniture, street art, and the colors of 1980s pop culture.” The six-foot-tall mirror is actually composed of glass strips positioned on top of a gradient painting, lending the illusion of a three-dimensional globe. 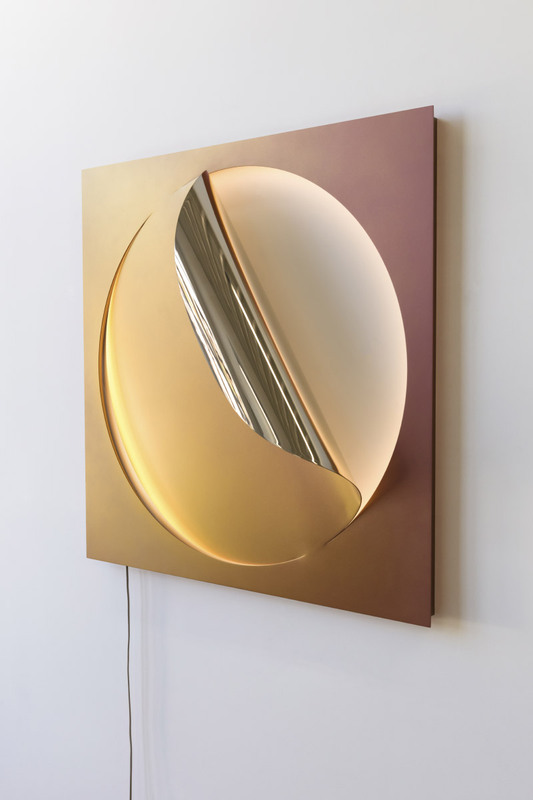 Artist and designer Christopher Stuart and artist Julia Dault have produced a circular, backlit sconce that seemingly “peels” away from the wall it’s attached to, revealing a soft glow at the corner. 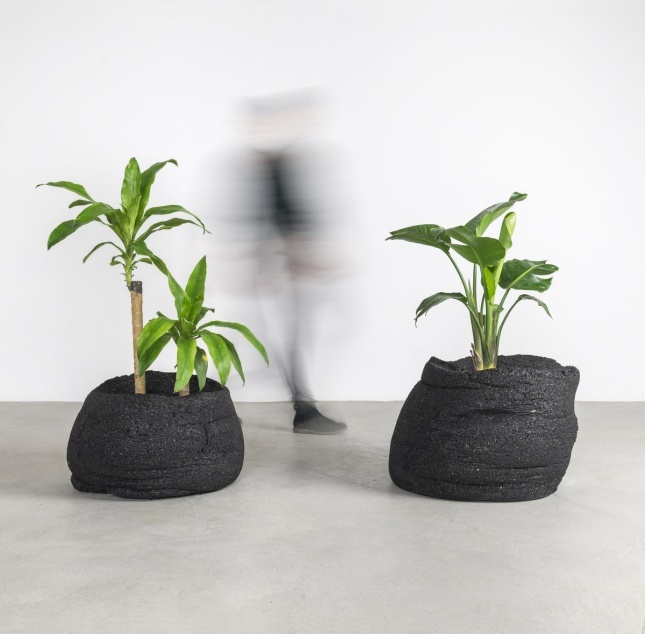 Designer Fernando Mastrangelo and actor Boyd Holbrook have created a set of planters carved from massive lumps of coal, in reference to Holbrook’s father, a Kentucky coal miner. 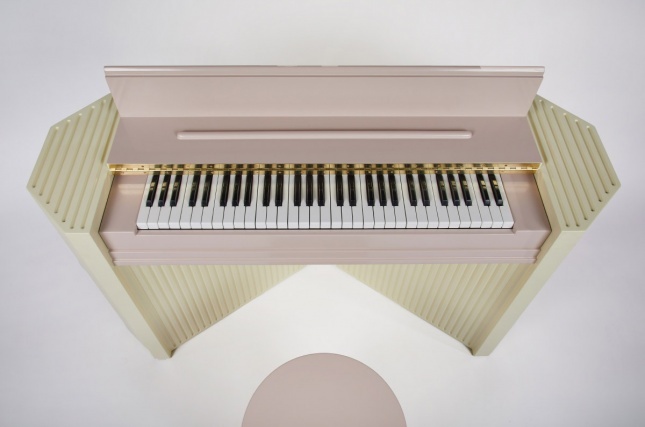 Creative consulting and interior design firm Wall for Apricots and actor Jason Schwartzman have designed a postmodern pastel pink-and-gold piano with matching stool. The team wrapped a classic 1970s Hohner Clavinet Pianet keyboard inside of a plywood console table to completely disguise the instrument within. 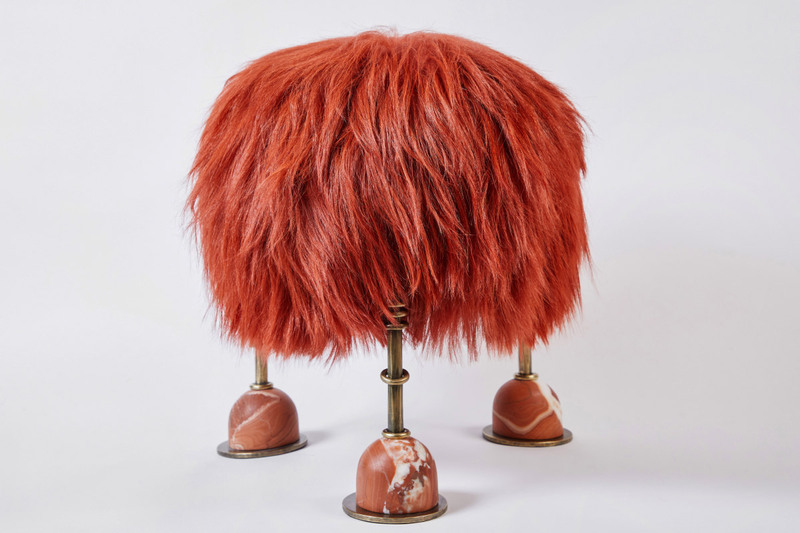 Furniture and lighting designer Kelly Wearstler and fashion blogger Aimee Song have put together a shaggy sitting stool made from dyed goat hair, with brass legs ending in plunger-like red marble feet. 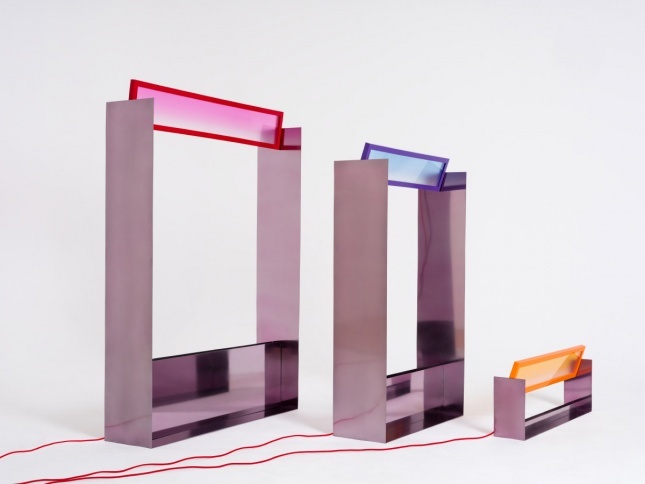 Designer Harry Nuriev and artist Liam Gillick have fabricated a series of rectangular floor lamps that integrate stainless steel with the glass panels that Gillick is known for. 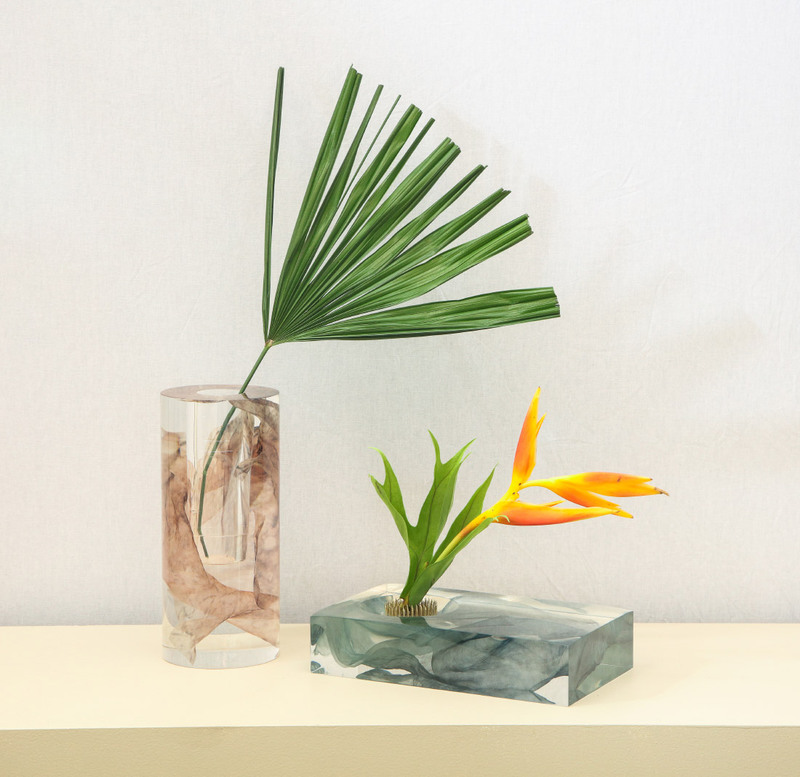 Furniture studio Ladies & Gentlemen Studio and fashion designers Kaarem have encased custom Kaarem fabric swatches in resin to create a series of vases. Architect Drew Seskunas of The Principals and musician Angel Olsen have built a machine that translates sound waves into wax forms. 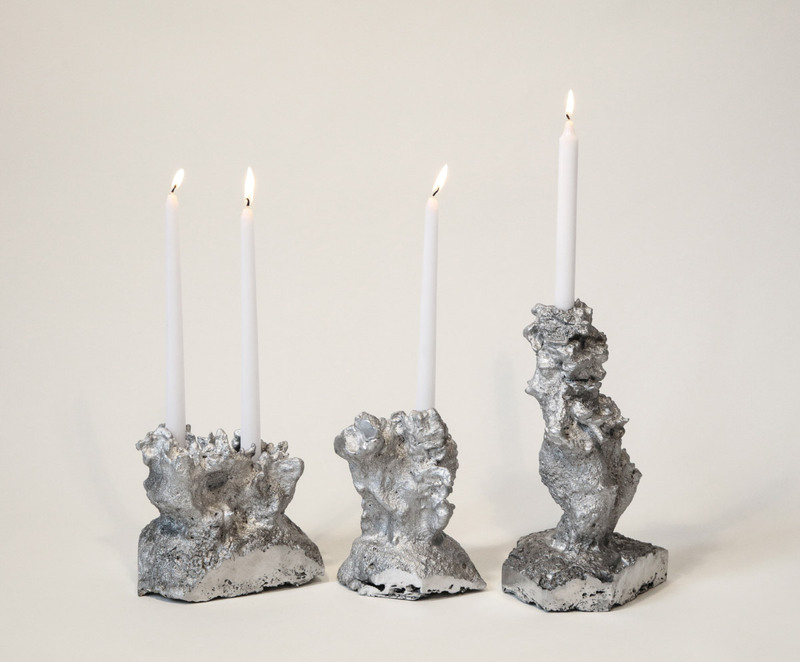 The resultant shapes were then used to cast unique aluminum candlesticks. 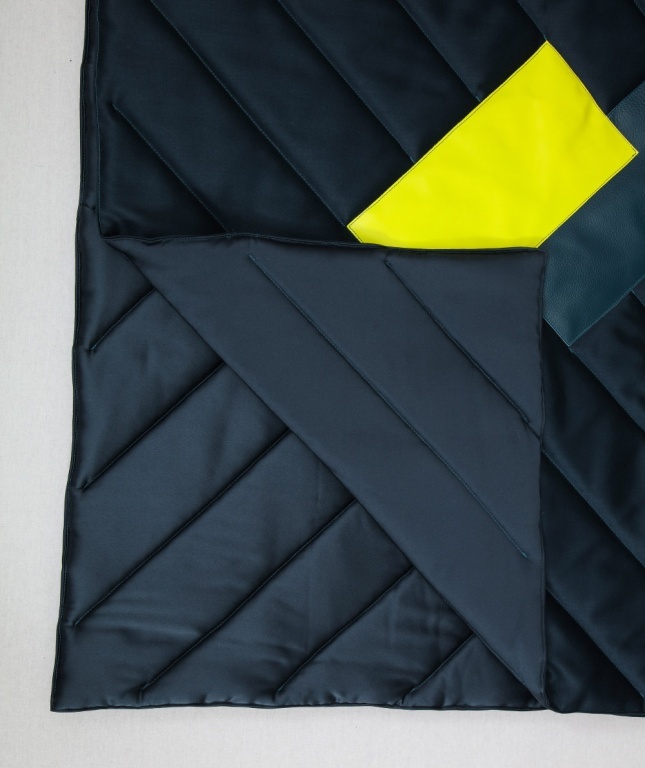 Rafael de Cárdenas of Architecture at Large and fashion stylist Mel Ottenberg have translated the ribbed structural details of furniture into three quilts, each made of luxury materials like merino and suede. 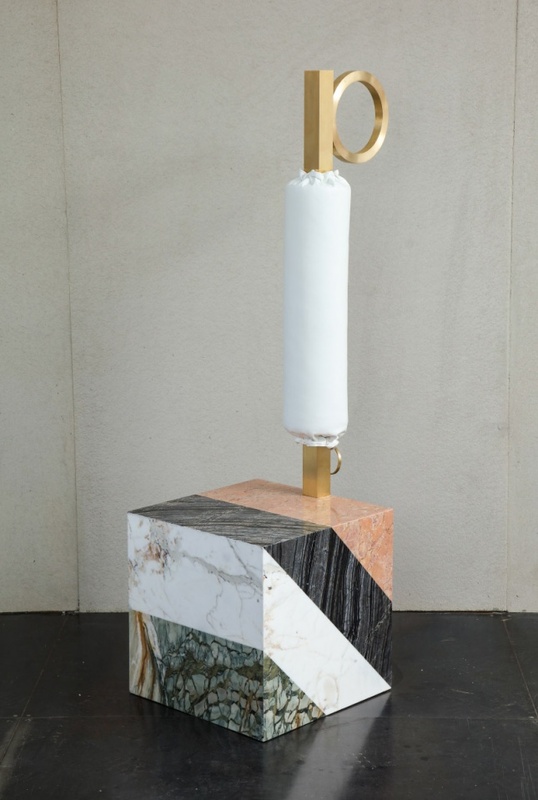 Designer Oliver Haslegrave of Home Studios and stylist Natasha Royt have reinterpreted the suit stand for the modern age, including stratifying different types of marble into the cubic base. 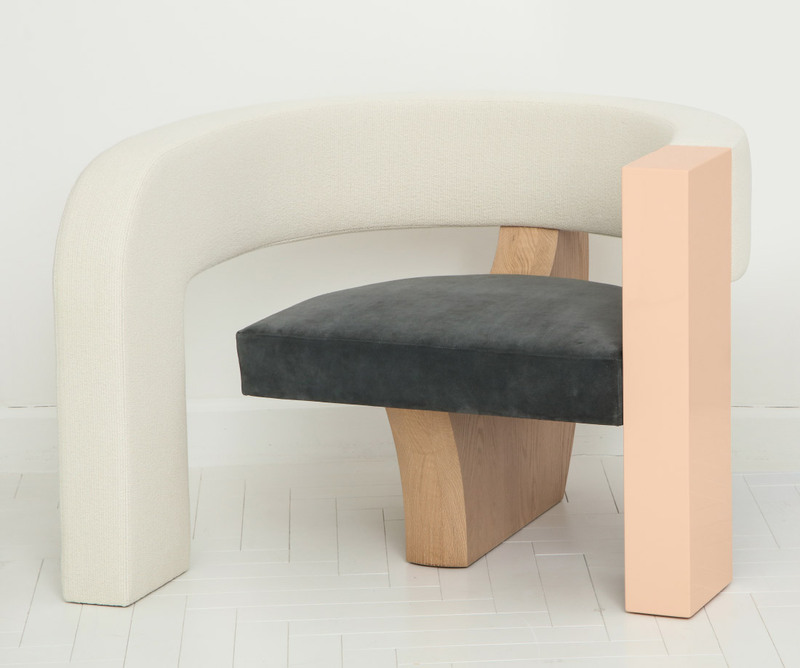 Interior designer Kelly Behun and fashion designer Narciso Rodriguez have put together a sculptural, asymmetric lounge chair that forces its occupant into an unfamiliar situation where they need to rebalance themselves. 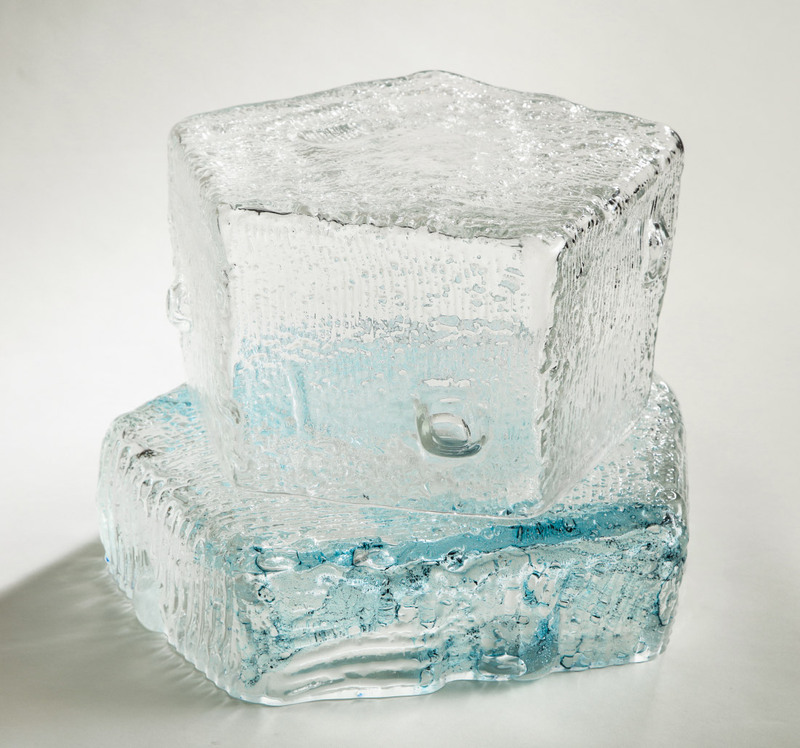 Glass designer Thaddeus Wolfe and chef Ignacio Mattos have designed a hand-blown glass cake stand that resembles a hunk of ice. The glass is embedded with concave lenses, which appear to minimize whatever’s placed inside the case. Painter Andrew Kuo provided an artwork and furniture maker Tyler Hays of BDDW took the opportunity to turn it into a puzzle. 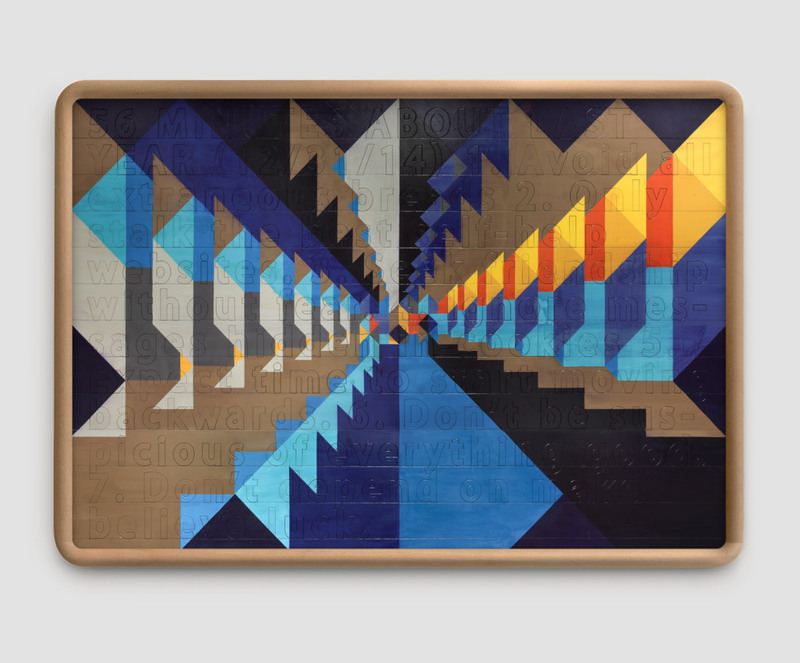 The pieces and lettering within are obscured by Kuo’s design for an added level of difficulty. All 13 pieces are available for sale here.